I’ll just start out by saying that I love my Rocket Stoven! 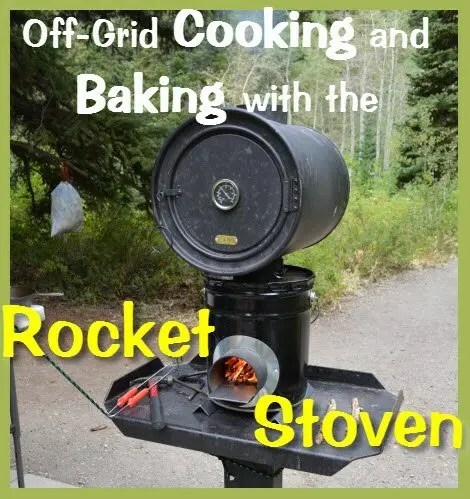 It’s a Rocket Stove with a collar that allows me to add my stove pipe oven to it as well, thus it’s a stove and an oven, “STOVEN”. I may actually enjoy cooking with this more than my cast iron Dutch Oven cooking! We saw this demonstrated at a Preppercon Expo and decided to purchase one. (I am not affiliated with the seller or maker of this product). I will include a video of the demo I recorded at the bottom of this article. Have you thought about how ready you and your family would be in the face an emergency or catastrophe? Do you think you could face disasters like these and survive?